Mantra Ibiza LED wall fitting features a rectangular back plate framed in a satin nickel finish with an adjustable reader style lamp head and illuminated diffuser on the wall plate. 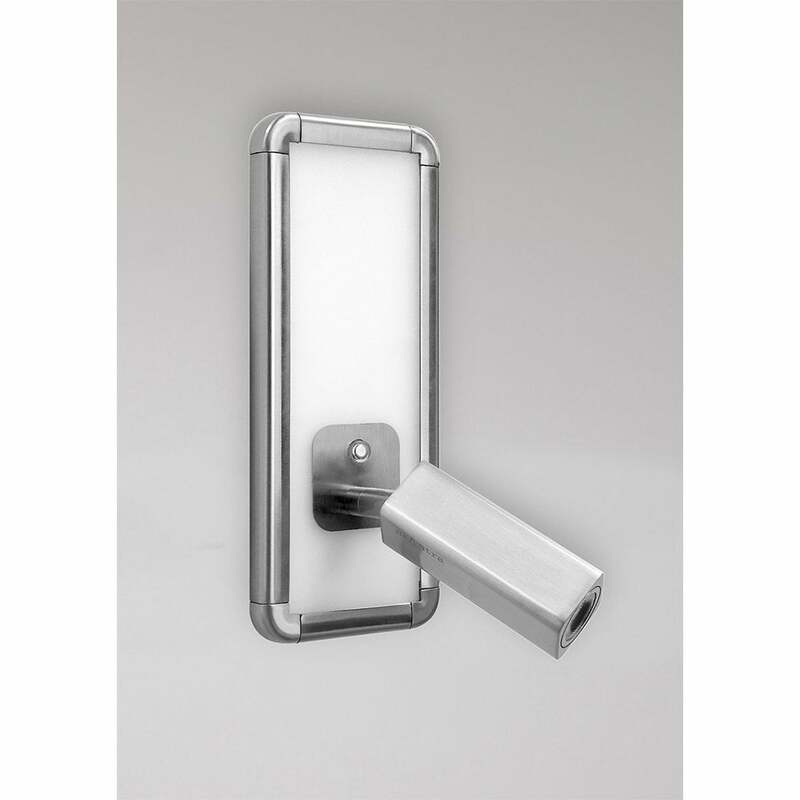 The product code for this wall fitting is M5256. This stylish yet practical wall fitting provides 5 watts of cool white LED from the illuminated back plate and emits the same wattage from the practical reading light which can be adjusted to where the light is required. The innovative design created by Santolaria and Llusca will be a perfect lighting solution for contemporary spaces providing it with 700 lumens in total of crisp, cool white light ideal for modern areas. This LED fitting comes with a 3 year warranty. Please see our website for the full range of ceiling fittings in this new contemporary collection from Mantra which are also available in white.